To understand what cryptojacking is, you first need to understand cryptomining. Cryptomining is a lot like gold mining in that, like gold, there are millions of cryptocoins in existence, they just haven’t all been made available yet. What miners do is extract them, by solving complex algorithms with powerful computer power harnessed from less powerful computers. Once they are verified, the miner is rewarded. Cryptomining becomes cryptojacking when this is done illegally, without authorization. All cybercriminals have to do to make money through cryptomining is steal CPU power – from any user – to solve the algorithms and bring the cryptocoins to light. Cryptojacking can happen in two different ways. An in-browser approach injects the script into a consumer’s browser and uses their CPU power to mine for coins. Alternatively, cybercriminals can bypass the browser and install a cryptominer directly on the consumer’s machine via a dodgy link. 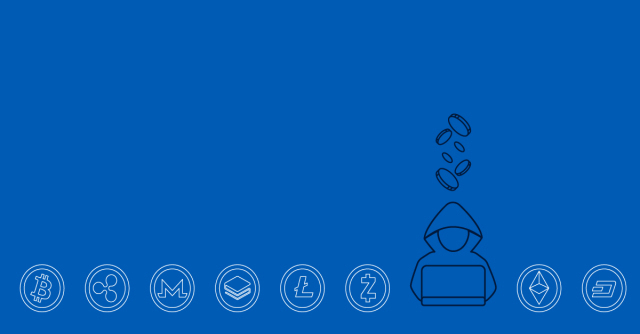 To find out more about in-browser cryptominers vs installed cryptomining malware, and how to tell and what to do if you have a cryptominer installed, check out the Naked Security article Cryptojacking for beginners – what you need to know.